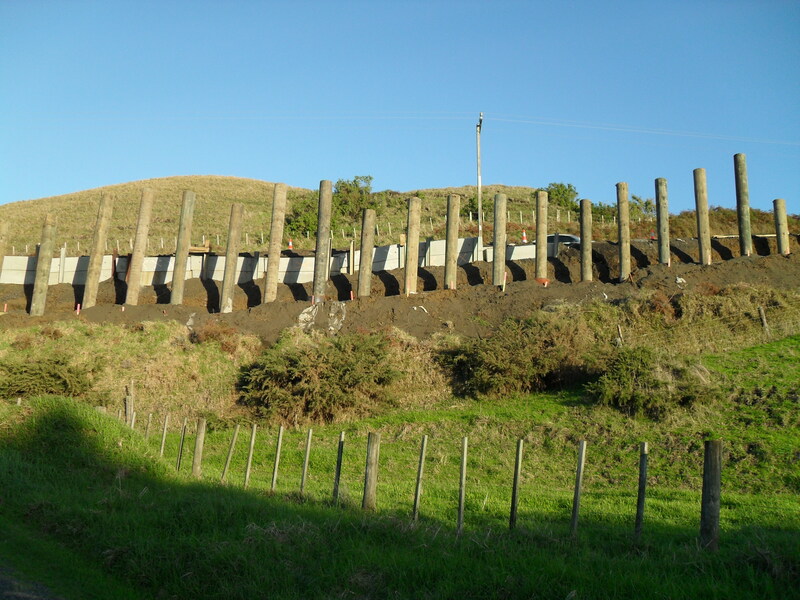 Kariotahi was a project requiring the retaining of a country road at the base of the Awhitu Peninsula. 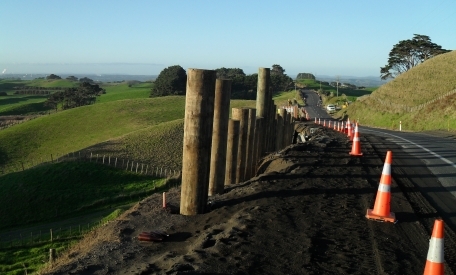 The project involved installing the 36 anchors and performing a load test prior to walers being installed. 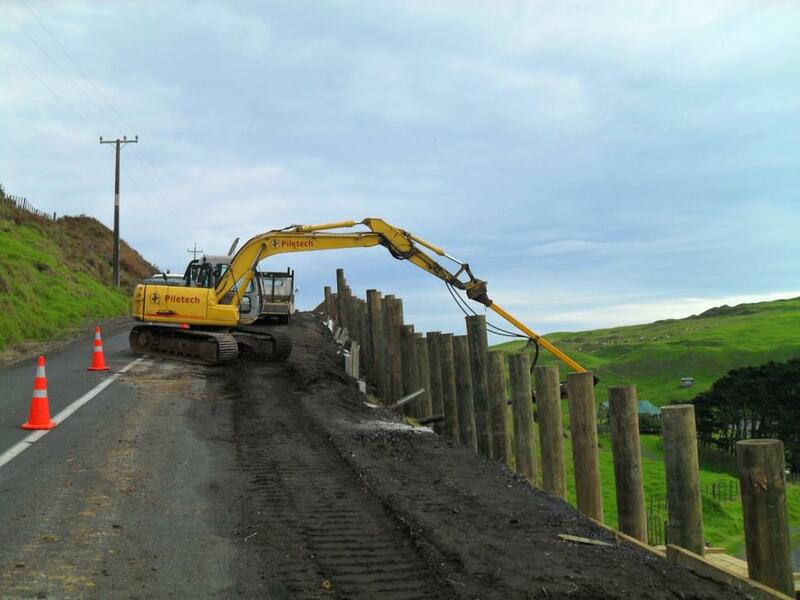 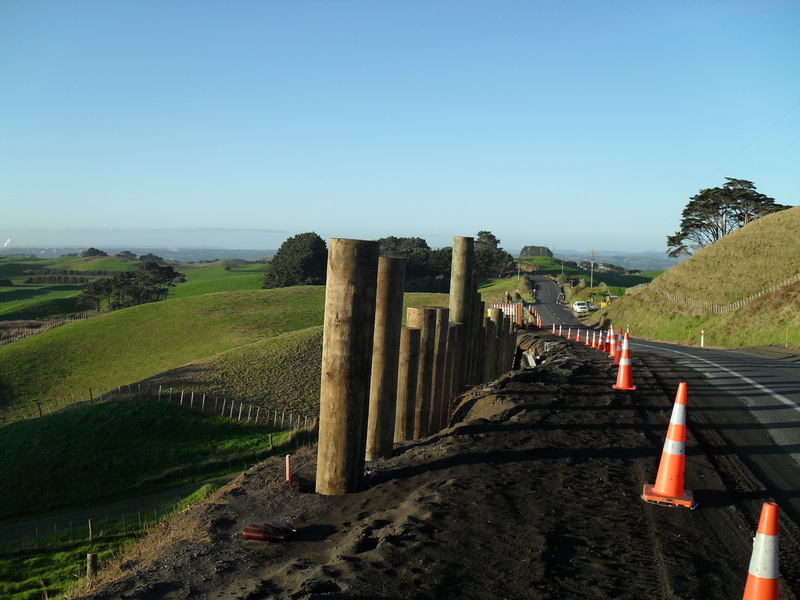 The site was approximately an hour from Auckland in an area of farmland requiring works to be undertaken from the road level and closing a lane to traffic. 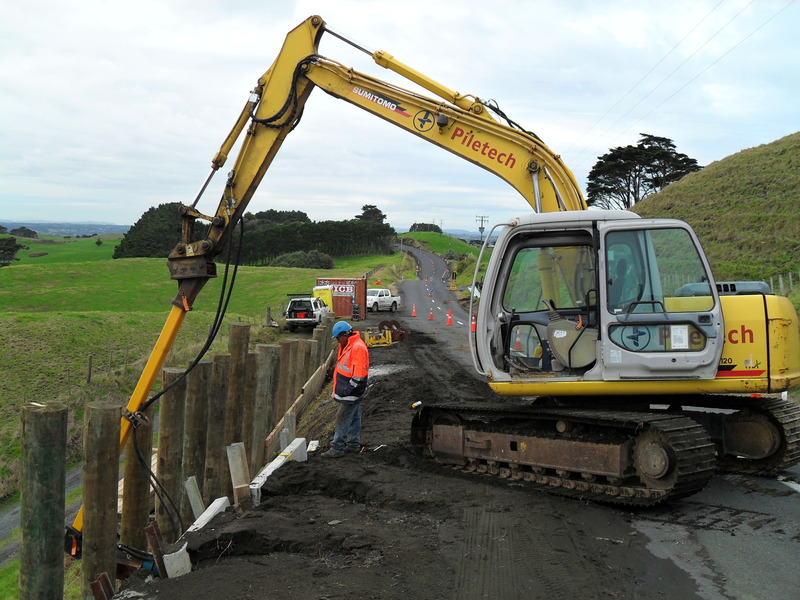 The remote nature of the site required careful planning and logistics getting the machine and equipment to site, with support some distance away.